Have an Olomeinu Purim - Vol. 1, is the best purim gift you can buy for purim, for young or old. For old people this will bring them good young memories, and for the young children, they will enjoy it like you enjoyed it when you were a child. The Olomeinu magazine was always cherished by Jewish readers of all ages. Finally at last you can now enjoy its quality reading all over again! 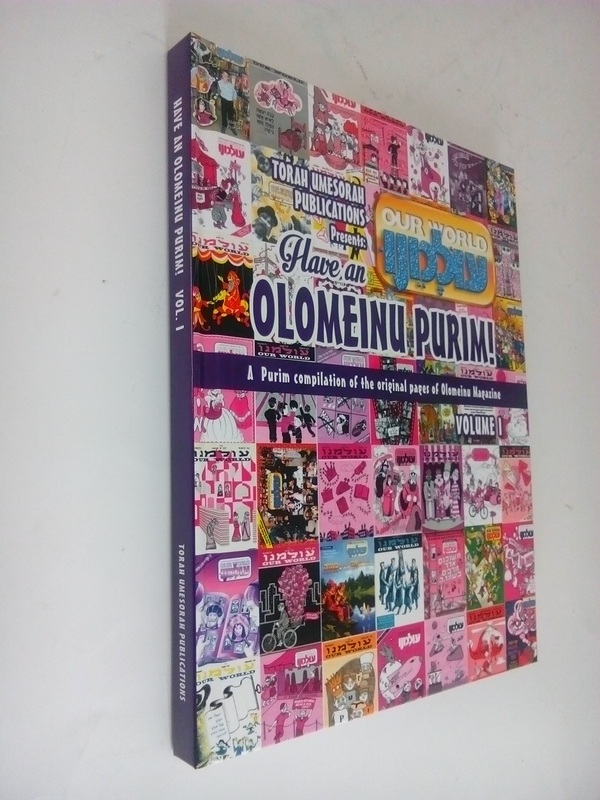 Have an Olomeinu Purim, Volume One is a collection of the original Olomeinu pages, from many years' worth of Purim editions. The material is almost completely unembellished, so as to provide the look and feel of the classicOlomeinu experience. As you turn the pages of this book, you'll be able to traceOlomeinu's rich history, from its humble beginnings to its more sophisticated look of recent years. Click on a small image to enlarge.